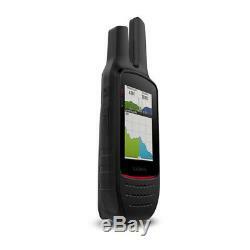 New Garmin Hiking & Handheld Rino 755T GPS. 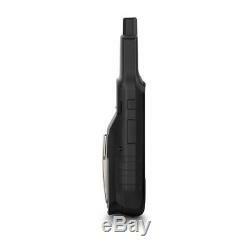 5 W FRS/GMRS two-way radio offers extended range, up to 20 miles; communicate by voice or unit-to-unit text messaging. High-sensitivity GPS and GLONASS satellite reception; tracks in more challenging environments than GPS alone. Position reporting feature shows locations of other Rino users on the same channel. 3 sunlight-readable touchscreen with dual orientation (landscape or portrait view). Rino 755t adds preloaded TOPO U. 100K maps and 8-megapixel autofocus camera with LED flash/torch. Communicate by Voice or Text. 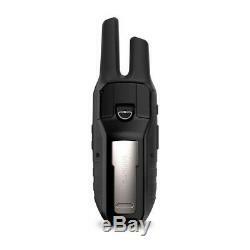 Both Rino 750 and 755t models feature powerful 5 W FRS/GMRS two-way radios that lets you easily stay in touch with your fellow hunters, hikers or explorers in the field. You can also maintain nonverbal contact by exchanging unit-to-unit text messages with other Rino users in your area. Dual GPS and GLONASS satellite reception enables our Rino series handhelds to accurately track and maintain your position even in heavy cover, deep canyons or remote, off-the-grid locations. 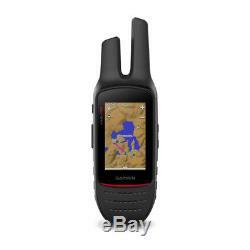 Each Rino also lets you share your waypoints, tracks, routes and geocaches wirelessly with other compatible Garmin handheld devices. 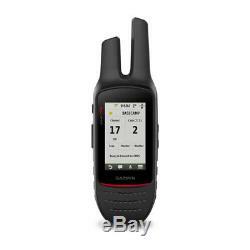 A built-in barometric altimeter and 3-axis compass make it easy to get your bearings. And both Rino 750 and 755t support advanced mapping capabilities such as BirdsEye Satellite Imagery (1-year subscription included). In addition, Rino 755t comes with an 8-megapixel camera plus preloaded TOPO 100K mapping for an even more detailed view of the terrain. Geotag Pictures with Rino 755t. Rino 755t has a built-in digital camera that makes it easy to capture locations, scenic views and memories of your travels. Each photo is automatically geotagged with coordinates, allowing you to navigate back to that exact spot in the future. Keep track of your photos and see their locations on a map using BaseCamp outdoor trip-planning software, which lets you view and organize maps, waypoints, routes and tracks. BaseCamp can also transfer satellite images to your device when paired with a BirdsEye Satellite Imagery subscription. Both the Rino 750 and 755t handhelds come with a worldwide shaded-relief basemap. With our wide array of detailed topographic, marine and road maps available, its easy to install additional mapping products. Just use the units microSD card slot to load the compatible mapping options you want. Or you can use our free Custom Maps software to transform paper and electronic maps into downloadable maps for your device. Keep a Close Eye on the Weather. With support for Active Weather forecasts and animated radar tracking, Rino 750 and 755t give you a vital edge in weather awareness. 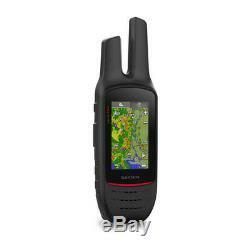 Get real-time conditions, forecasts and alerts (in areas with coverage) directly on your handheld display when the Rino is paired with a compatible smartphone¹ and the Garmin Connect Mobile app. For added situational awareness, a built-in NOAA weather radio supports Specific Area Message Encoding, which allows you to see National Weather Service warnings and watches displayed county-by-county on the map screen. Syncing your Rino 750 or 755t handhelds with a compatible Bluetooth®-enabled headset enhances your radio communications even under adverse weather or windy conditions. By syncing your device with a compatible smartphone¹, you can also receive smart notifications (calls, texts, emails and more) right on your display so you can stay focused on the trail ahead while staying connected with friends and family back home. For added flexibility, you can even customize your Rino handhelds display with free downloads of apps, widgets and data fields from our Connect IQ online store². Durable and water-rated to IPX7, the Rino 750/755t series is built to keep you in touch and on track, no matter what the elements throw at you. Each device features a vivid, dual-orientation, 3 color touchscreen thats glove-friendly and easy to read, even in bright sunlight. Turn Your Computer Into a BaseStation. Garmin BaseStation lets you turn your laptop (BaseCamp software required) into a field command center for tracking multiple Rino units. View real-time GPS information on the larger display of your computer while Rino serves as a router/antenna. 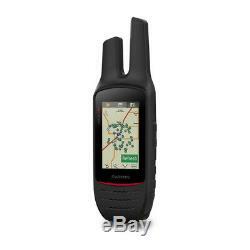 Rugged GPS/GLONASS Handhelds with Two-way Radios. And both Rino 750 and 755t support advanced mapping capabilities such as BirdsEye Satellite Imagery. Wi th support for Active Weather forecasts and animated radar tracking, Rino 750 and 755t give you a vital edge in weather awareness. 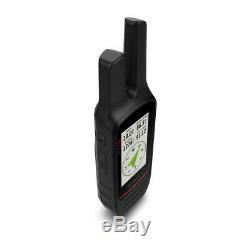 The item "New Garmin Outdoor Recreation Hiking & Handheld Rino 755T GPS System" is in sale since Monday, February 5, 2018. 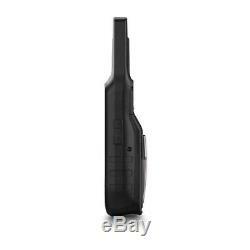 This item is in the category "Sporting Goods\Outdoor Sports\Camping & Hiking\Generators & Heaters". The seller is "archconnection" and is located in Ironton, Ohio. This item can be shipped worldwide.